Windows Registry Editor is a powerful way to edit, manage and check different system / application features on the computer. 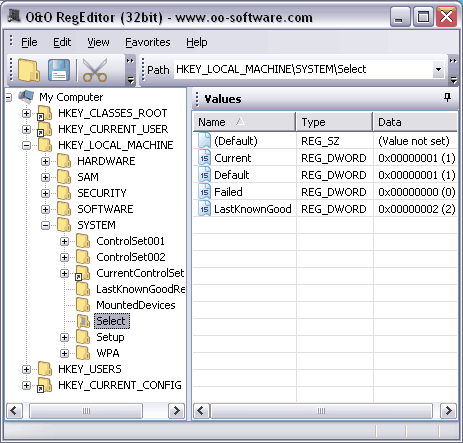 If you do not like default RegEdit Windows Registry Editor, then tryout more powerful and fully portable O&O RegEditor. Just download and double click to launch (& use) this registry editor anywhere. 1. Creates, manages, imports and exports Favorites. 2. It uses frequently needed keys as preset Favorites. 3. It supports copying of complete branches. 4. It allows simplified editing and easy search feature. 5. It supports quick import and Export of XML files. 6. It is portable and can be launched from anywhere. It works fine on Windows Vista, XP, 2003 and 2000 (both 32bit and 64bit). Official download website require registration from free download. But you can download portable O&O RegEditor from Snapfiles without any need to register or wait. Grab the portable registry editor for quick and easy editing! But, where’s the download link? ?